Indian dance artists appear like a poetry in motion not only while they perform but also when captured in stills. 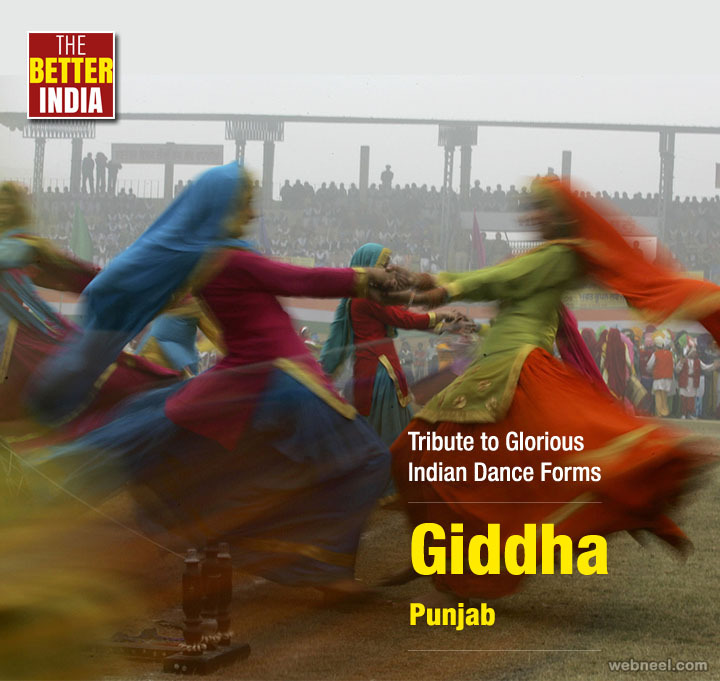 Here’s a tribute to folk, classical and all the colourful dance form from the states. 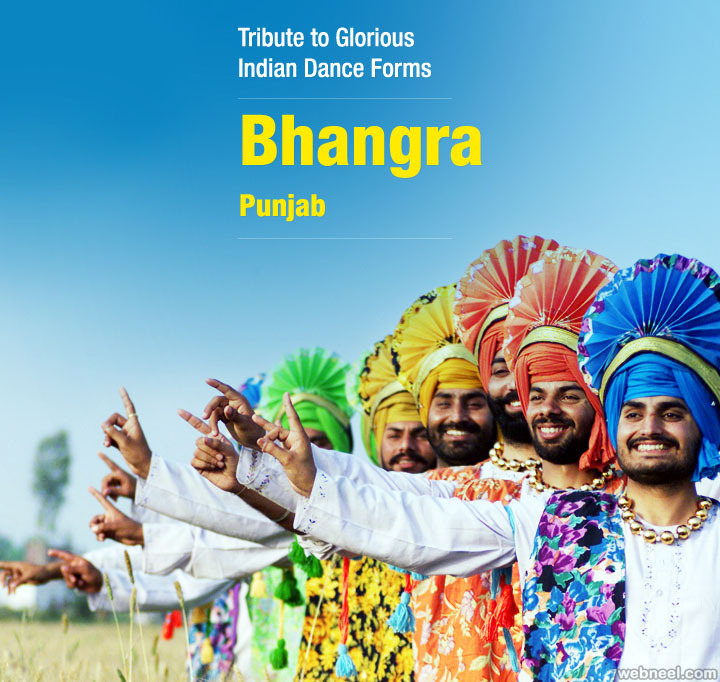 The term Bhangra refers to the traditional dance originating in the Majha area of the Punjab region. 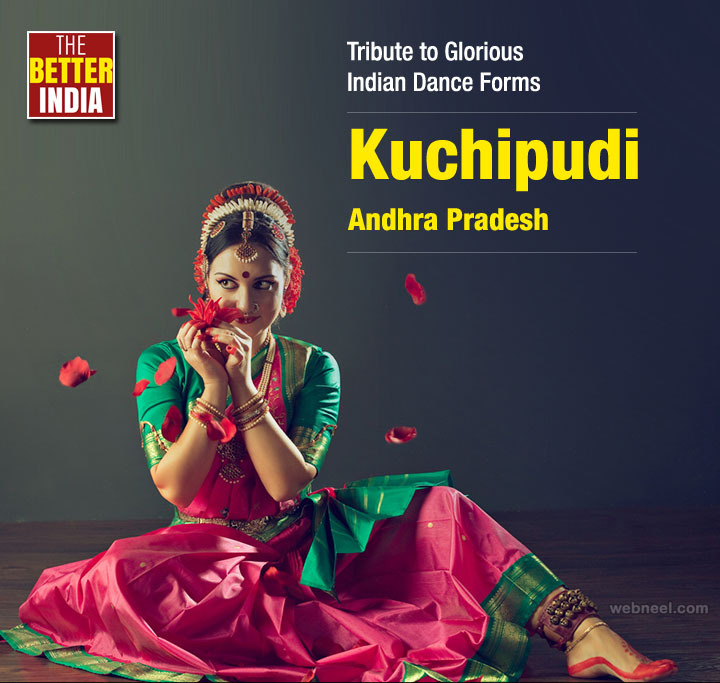 Kuchipudi is an Indian classical dance originating in Krishna district of Andhra Pradesh, India, but popular all over South India. 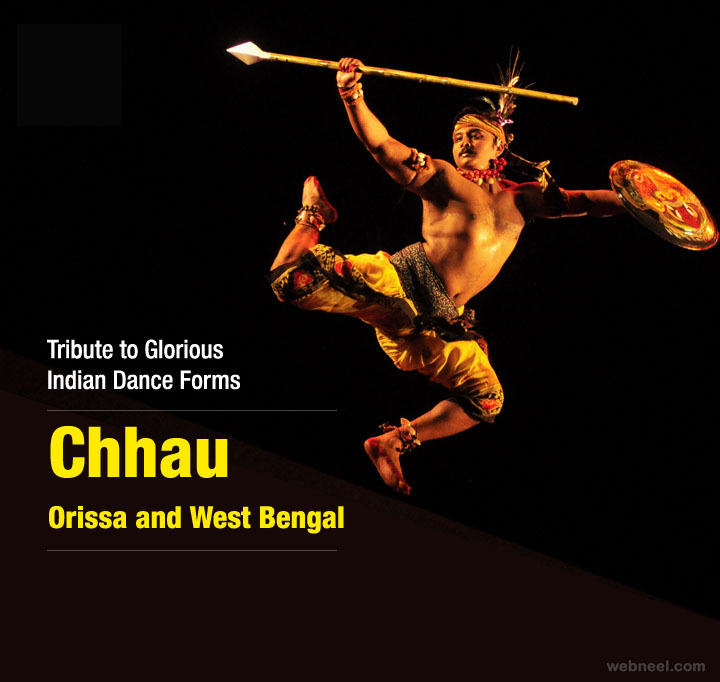 Chhau dance is a genre of Indian tribal martial dance which is popular in the Indian states of Odisha, Jharkhand and West Bengal. 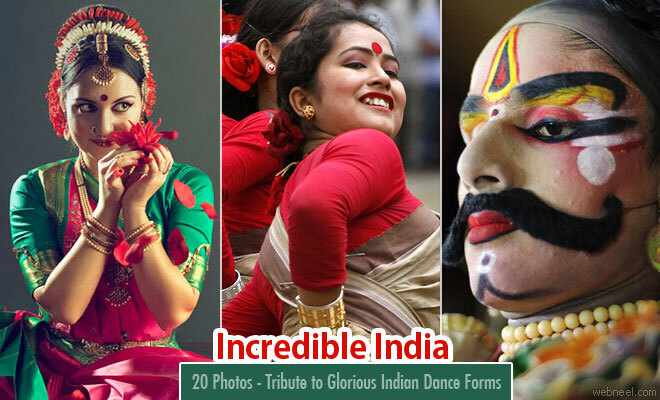 There are three subgenres of the dance, based on its places of origin and development, Seraikella Chhau, Mayurbhanj Chhau and Purulia Chhau.This is also called paika nrutya. Bharata Natyam is a form of Indian classical dance that originated in the temples of Tamil Nadu and is known for its grace, elegance, purity, tenderness, expression and sculpturesque poses. Lord Shiva in his Nataraja form is considered the God of this dance. Raas or Dandiya Raas is the traditional folk dance form of Gujarat, India, and is associated with scenes of Holi, and lila of Krishna and Radha at Vrindavan. Along with Garba, it is the featured dance of Navratri evenings in Western India. 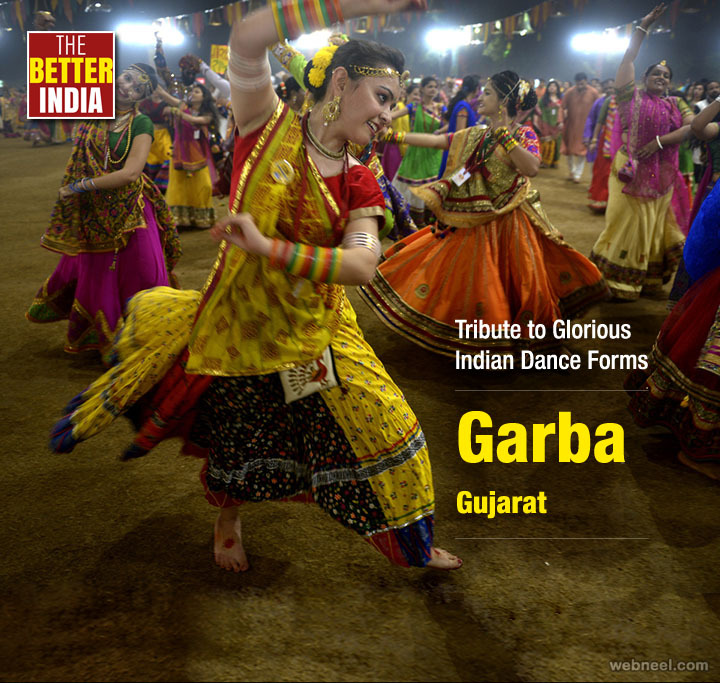 Garba is a form of dance which was originated in the state of Gujarat in India. The name is derived from the Sanskrit term Garbha ("womb") and Deep ("a small earthenware lamp"). Many traditional garbas are performed around a centrally lit lamp or a picture or statue of the Goddess Shakti. 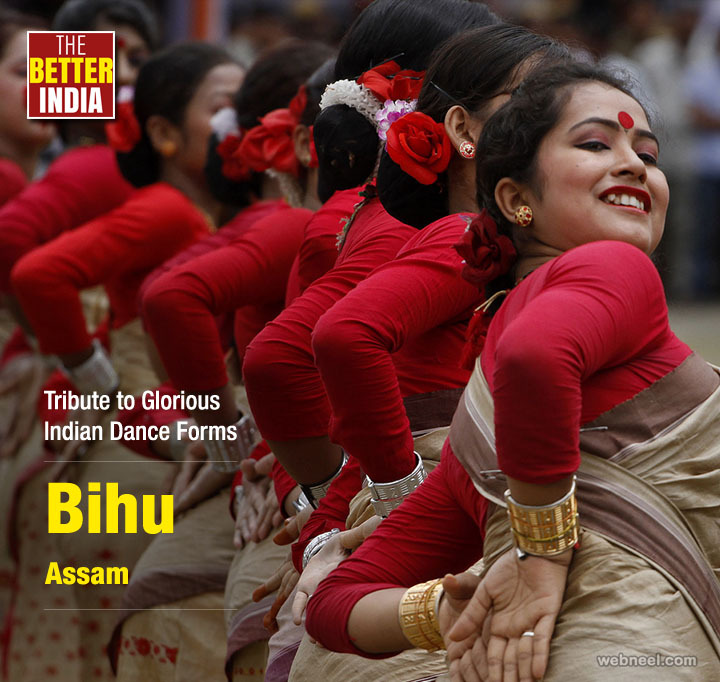 Bihu is a folk dance from the Indian state of Assam related to the Bihu festival. This joyous dance is performed by both young men and women, and is characterized by brisk dance steps,and rapid hand movement. Dancers wear traditionally colorful Assamese clothing. Lavani is a combination of traditional song and dance, which particularly performed to the beats of Dholki, a percussion instrument. Lavani is noted for its powerful rhythm. 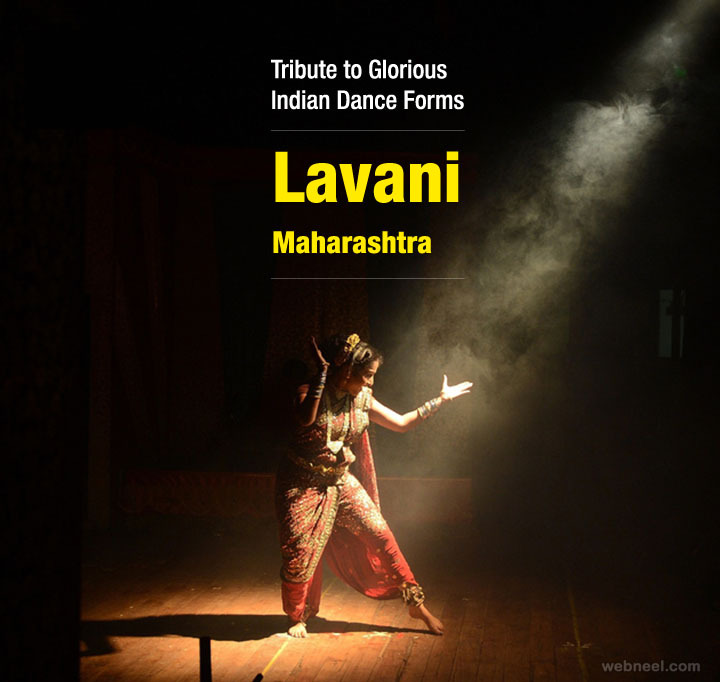 Lavani has contributed substantially to the development of Marathi folk theatre. copied in all regions of the country. 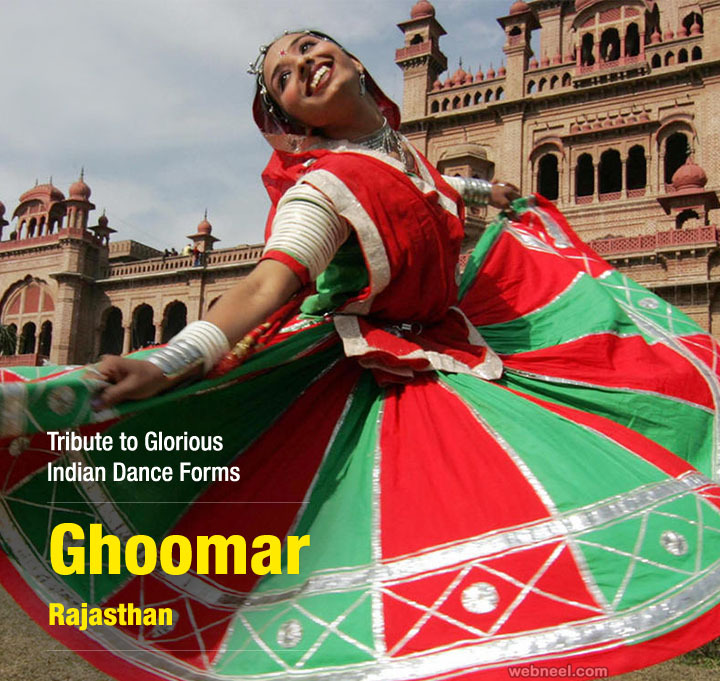 Ghoomar is a traditional folk dance of Rajasthan, India and Sindh‚ Pakistan. Ghoomar was developed by the Bhil tribe and was then adopted by other Rajasthani communities. It is performed by women in swirling robes, and accompanied by men and women singing together. 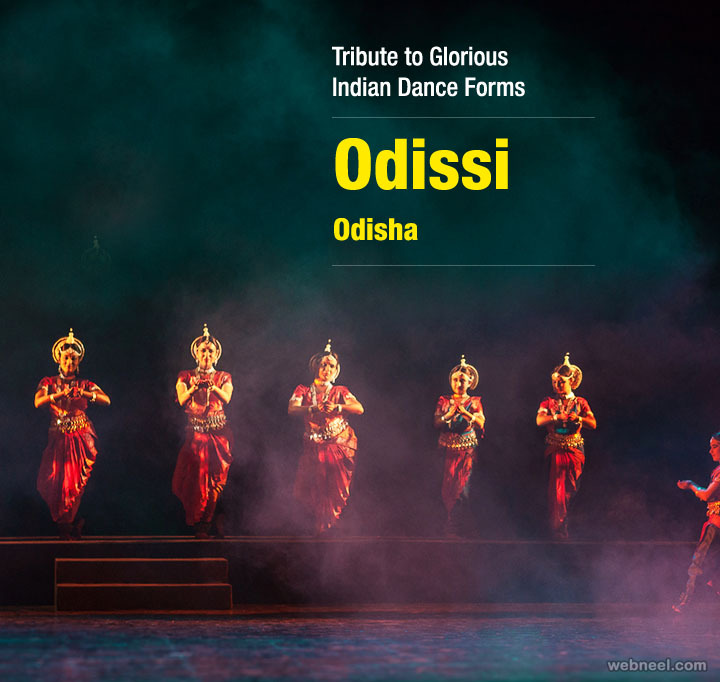 Odissi, also known as Orissi is one of the eight classical dance forms of India. It originates from the state of Odisha, in eastern India. 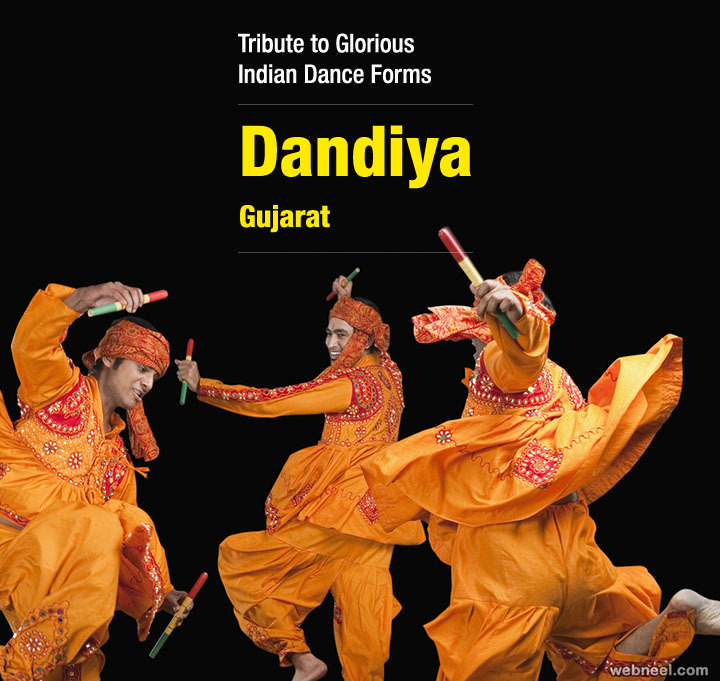 It is the oldest surviving dance form of India on the basis of archaeological evidences. 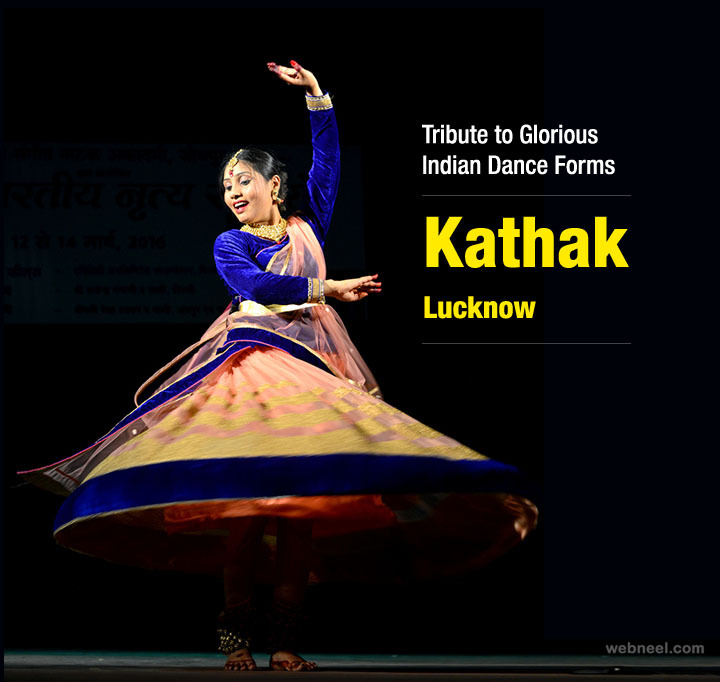 Kathak is one of the most important classical dances of India. Kathak is said to be derived from the word katha, meaning "the art of storytelling." 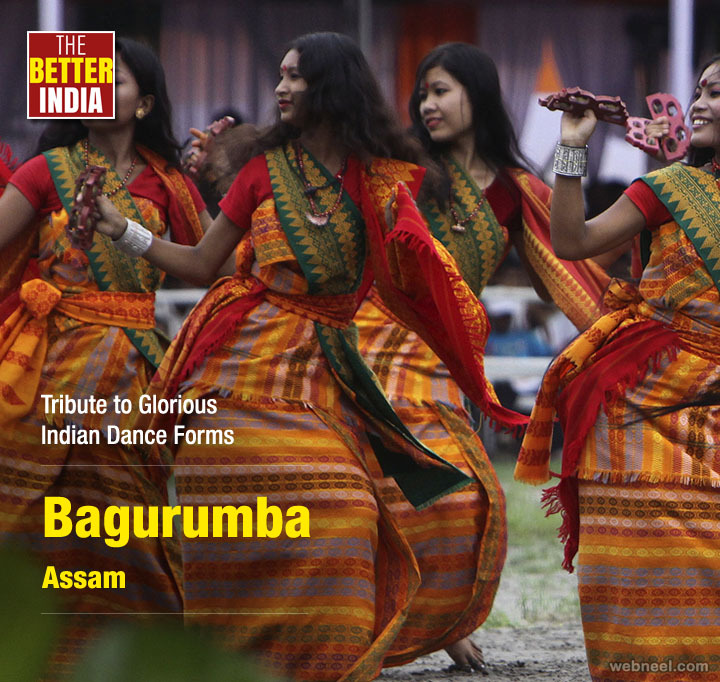 Bagurumba dance is originated from nature, some thousands years ago it was practiced by the Boro people. Generally boro people are like to stay in green environment. They love to play with environment, beauty of nature. So they used to stay foothills of the Eastern and southern Himalaya which are generally forest area. Bathukamma is floral festival celebrated by the Hindu women of Telangana. Every year this festival is celebrated as per Telugu version of Hindu calendar in the Bhadrapada Amavasya, also known as Mahalaya Amavasya, usually in September–October of Gregorian calendar. 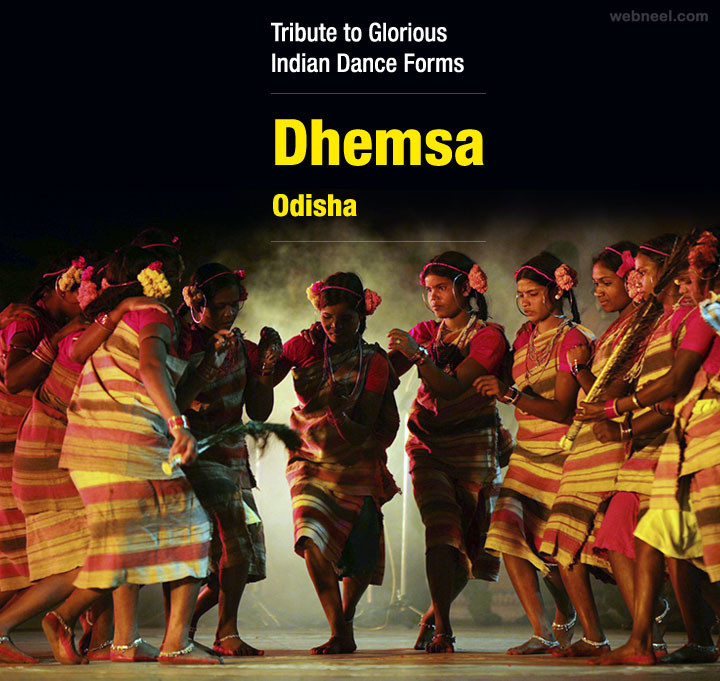 Dhemsa is a traditional folk dance of tribal people of central India. The dancers form a chain by clutching each other at a shoulder and waist and dancing to the tune of traditional instrument. Dhemsa is a unique folk dance form performed in groups. The term Mohiniyattam comes from the words "Mohini" meaning a woman who enchants onlookers and "aattam" meaning graceful and sensuous body movements. 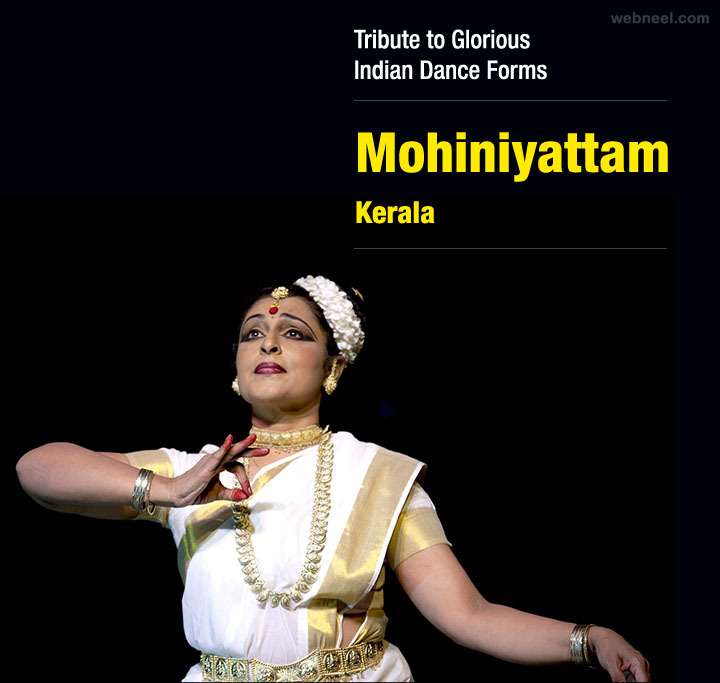 The word "Mohiniyattam" literally means "dance of the enchantress". 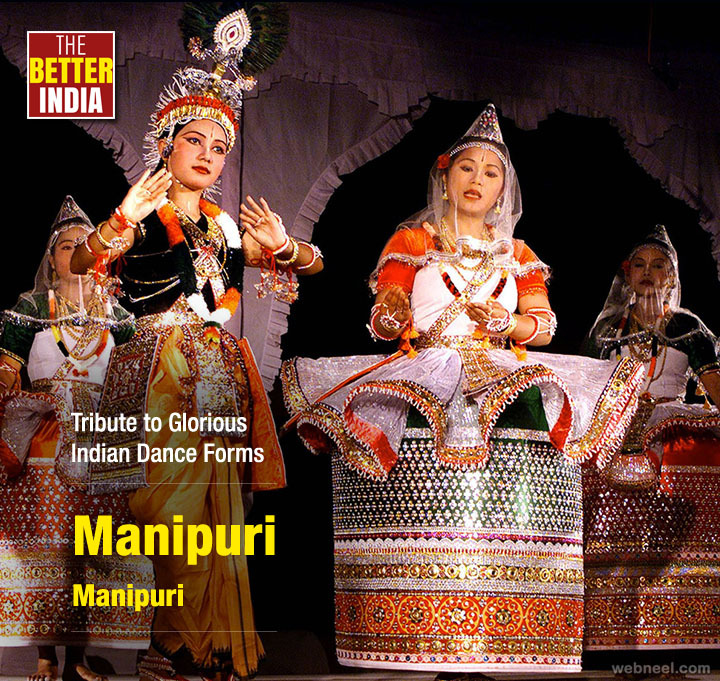 Manipuri dance is one of the major Indian classical dance forms. It originates from Manipur, a state in north-eastern India on the border with Burma. 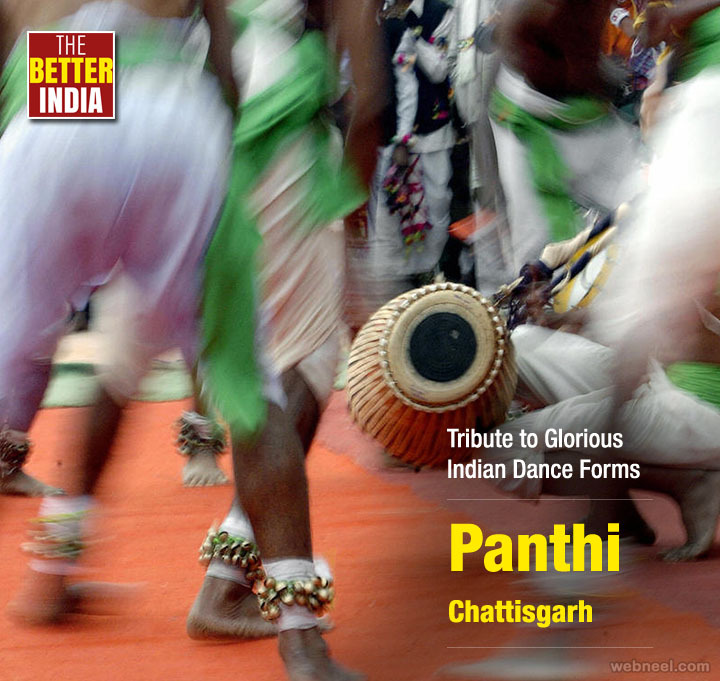 Panthi is a folk dance of the Satnami community of Chhattisgarh and bears religious overtones. Performed on Maghi Purnima the birth anniversary of their guru, Ghasidas, the dance is evolving still to include a variety of steps and patterns. The dancers dance around a jaitkhamb set up for the occasion, to the songs eulogising their spiritual head. 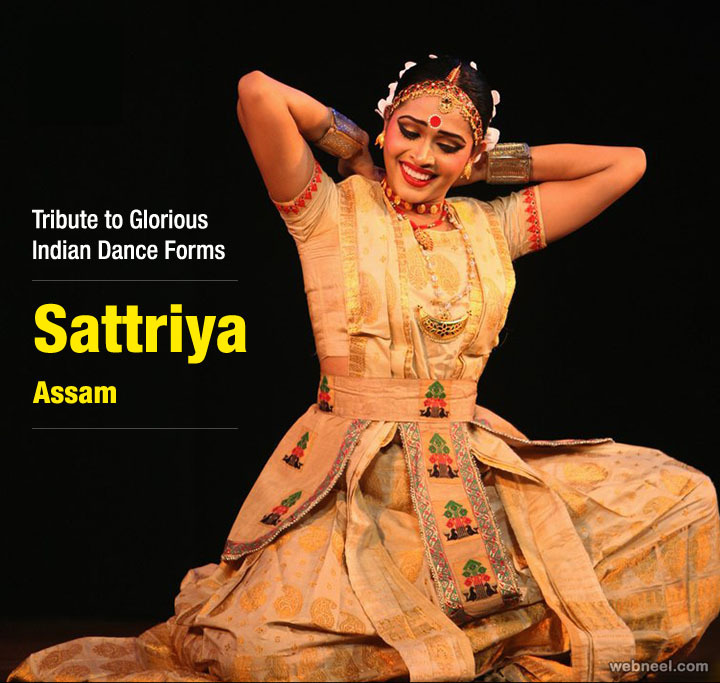 Sattriya is one among the eight principal classical Indian dance traditions. Recognized in 2000 as a classical dance by Sangeet Natak Akademi, the Sattriya is the most recent entrant in this list. Yakshagana is a folk theater form that combines dance, music, dialogue, costume, make-up, and stage techniques with a unique style and form. Kathakali is the classical dance form of Kerala. The word Kathakali literally means "Story-Play". Kathakali is known for its heavy, elaborate makeup and costumes. In fact, the colorful and fascinating costumes of Kathakali have become the most recognized icon of Kerala.